2017 may have been a rollercoaster for some, but with news of a very exciting royal engagement and our very own Emma bringing a new baby into the world, 2017 hasn’t disappointed us one bit, especially in the beauty stakes! This year, we think you’ll agree that our favourite brands have shown us the crème de la crème of newness. We’ve seen huge focuses on perfect textures and excellent efficacy plus the mission to look out for the environment in doing so has never been more important – which we also love! Another year, another GIVENCHY favourite! The luxurious Rouge Interdit lipstick launched all the way back in January, but it feels like it’s been a firm fixture in my makeup bag for much longer than that. Creamy and richly pigmented, this satin-finish darling was my wedding reception go-to (yep, I had a lip wardrobe for my wedding day… high maintenance or what?). 09 Rose Alibi is a tried and trusted ‘your lips but better’ sort of shade, with a rosy touch that really enlivened my pale skin and looked so good in photographs. There’s an incredible number of shades in the collection, from nudes to reds, and I cannot recommend them highly enough. I may be high maintenance in the lip department, but when it comes to hair? I’ll be lucky if I remember to use heat protection. So I had a bit of a nightmare in early autumn when I started to lose a fair bit of the lovely, lustrous hair that pregnancy gave me, and when it started to grow back in really strange, un-styleable clumps I knew I’d have to enlist some sort of help. The Living Proof No Frizz Nourishing Oil has been a bit of an unexpected saviour; it’s a really thin oil that transforms stringy strands into a glossy style and helps to smooth the hair down without adding weight. And I can truly vouch for the fact that it doesn’t add weight, as I often have to use it close to my roots (gasp!). 2017 has been a year of very little fragrance wear for me. Morning sickness put paid to me wearing perfume in the beginning of the year, followed by the impracticality of wearing a strong fragrance around a newborn. After that, it just sort of became second nature to stop wearing it! This seriously addictive scent from Elie Saab was the one to break the hiatus, though. Its edible notes of pistachio, almond and tonka bean are just indescribably inviting, while a golden thread of signature Elie Saab orange blossom keeps things suitably fun and glamorous. It’s the sort of fragrance that never fails to get a compliment, and we all need a little boost from time to time. Calling all Le Rouge fans (I know there’s a lot of you)! You’ll be happy to know that a brand new version of the classic lipstick is hitting the site mid-January. With all of the comfort and care of the original satin-finish lipstick, but with a sharply chic matte finish, this edited collection of 5 shades will make sure your look will pack a major sartorial punch in the new year. Have you ever told all your friends to buy something and then realised that you don’t own it yourself yet? That’s exactly what I did with GUERLAIN Mon Guerlain! I was so busy spritizing it at my desk and preaching about it to anyone that would listen that I didn’t treat myself. But, I can now say that this luminous perfume is now (finally) a part of my fragrance line-up, I don’t know what took me so long! A fusion of lavender, jasmine, vanilla and sandalwood, Mon Guerlain is a truly beautiful aroma that makes me feel confident and feminine, it really is a work of art that I think everyone needs in their fragrance wardrobe. Shiseido Synchro Skin Glow won over my heart in 2017. I don’t know if it was the 8 hours of hydration or the serum-like texture, or even the glowing result that made it my number one, but, whatever it was, I can say with confidence that other than a few fleeting flings I have barely looked at another foundation all year. And for a beauty buff like me, that’s saying something! If you’re in the market for a foundation that doesn’t mask your skin but instead gives it a boost of health, whilst covering any imperfections of course, then this should be on your must-try list for 2018. With a new skincare product launching what feels like every 3 seconds in the beauty world it’s hard to resist trying everything. Last year I was swapping and changing my skincare stash so often that my skin went into overdrive, so this year I made a conscious effort to keep it simple. So, when the world’s easiest makeup remover entered my life (the Nuxe Micellar Cleansing Oil) I didn’t let it go. With the power to eliminate even waterproof makeup, UV filters and pollution particles, the oil cleanser is a must-have for anyone like me that wants quick and easy cleansing. Infused with 87.2% natural origin ingredients, the gentle formula preserves the skin’s natural balance as it removes impurities – and did I mention it smells amazing too! At the top of my 2018 wishlist is the GUERLAIN La Petite Robe Noire Roll-Ink Liner, the world’s first rolling eyeliner that launches in February. Designed to make eyeliner application a breeze, I cannot wait to get my hands on it and put it to the test (blog post coming soon!). If like me you’re an eyeliner fanatic note this launch in your diary! 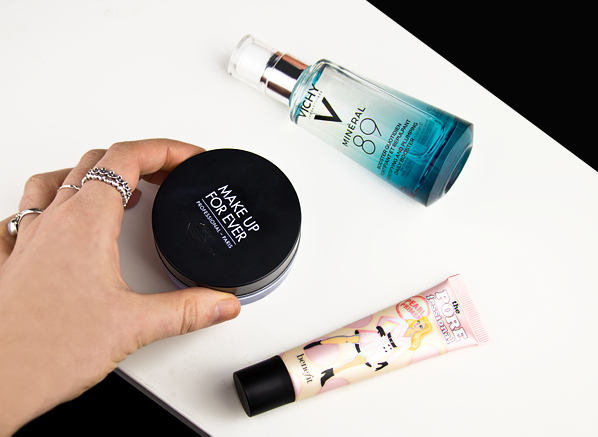 As we’re talking about products that have changed our lives this year, I can’t not mention the MAKE UP FOR EVER Ultra HD Loose Powder, as it’s is up there with the best of them. You know those types of products that you’ll interrupt a conversation to shout about, it’s one of those. Sometimes it’s hard to believe a powder can actually be so good, but trust me when I say its blurring and smoothing powers are out of this world, which is especially good if you live your life on Snapchat or Instagram, which working in social media, is what I do. Intrigued to see if it works? You can see my honest before and after results here. Pre-2017, serums were never really my thing, that’s until I gave the Vichy Mineral 89 Serum a try – and yes, you guessed it, I’m completely converted. Drawn in by the beauty blogger hype, Ceryn’s review and its minimal ingredient line up, my 27-year-old skin has never looked so fresh. I can honestly say that no matter your skin type; be it sensitive, oily or dehydrated, Vichy Mineral 89 will be the perfect serum starting point for you in 2018, and if you give it a try, be sure to let me know how you get on with it over on Twitter. It took me until the end of 2017 to find my perfect primer, but the long quest was worth it now that I’ve discovered the Benefit Porefessional Pearl Primer. If you’re already a fan of the POREfessional Primer, this may well end up being one of your 2018 favourites too! 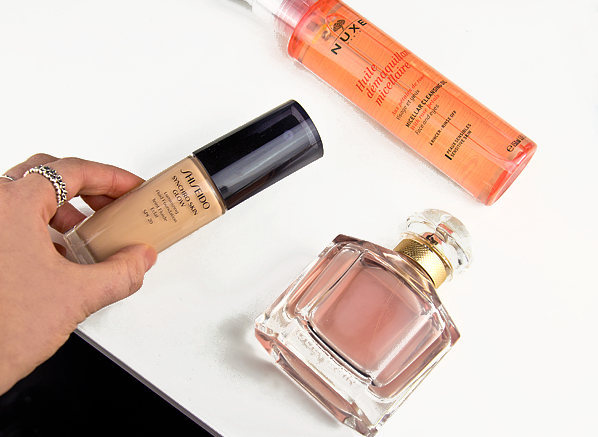 Until now, my oily skin always craved a mattifying primer, which really didn’t help the look of my skin or my foundation. So now, every day I apply this and I don’t have to worry about unwanted shine, instead, I can just let my skin glow for all of the right reasons – finally! I can’t help it, I’m a makeup magpie, so as soon as I saw that the MAKE UP FOR EVER Artist Shadows were launching in January, I knew I needed them all. What’s special about this new launch is the fact that you can completely customise your eye and face palette (alongside the Artist Face Colors) – so it’s great if you’re fed up of buying a palette and not using all of the shades! This entry was posted on Saturday, December 30th, 2017 at 9:00 am and is filed under Emma's Picks, French Pharmacy, Gifts, Make-up, Monthly Favourites, Skincare, Spotlight On, Tried & Tested. You can follow any responses to this entry through the RSS 2.0 feed. You can skip to the end and leave a response. Pinging is currently not allowed.